Everyone knows that garlic is good for you. 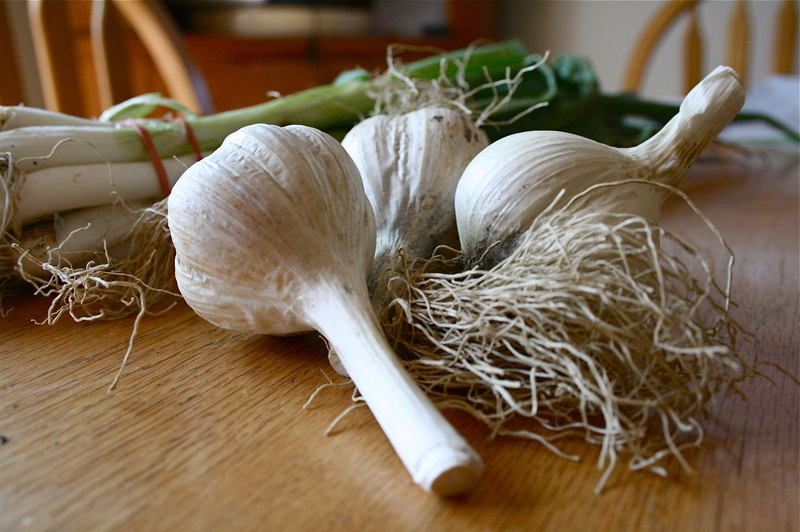 Garlic cures colds, neutralizes bacteria, repels vampires. 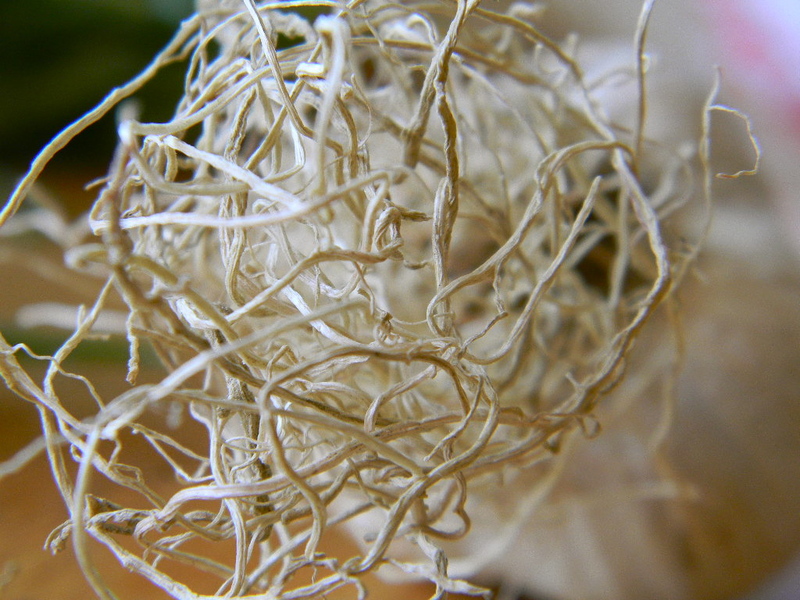 A tight fistful of knuckles, a package wrapped in the paper in which it has grown, garlic is a vegetable disguised as an herb. I love raw garlic. I am not afraid of garlic breath. I will crunch a clove or two of garlic when I feel myself getting sick or pop pickled garlic when I’m craving a spicy, sour snack. And although my husband and I both enjoy minced garlic thrown into a meal at the very end of its cooking, I don’t often subject my dinner guests to raw garlic in a meal in fear that they will think me an insufficient cook rather than an eater who enjoys a little edge. 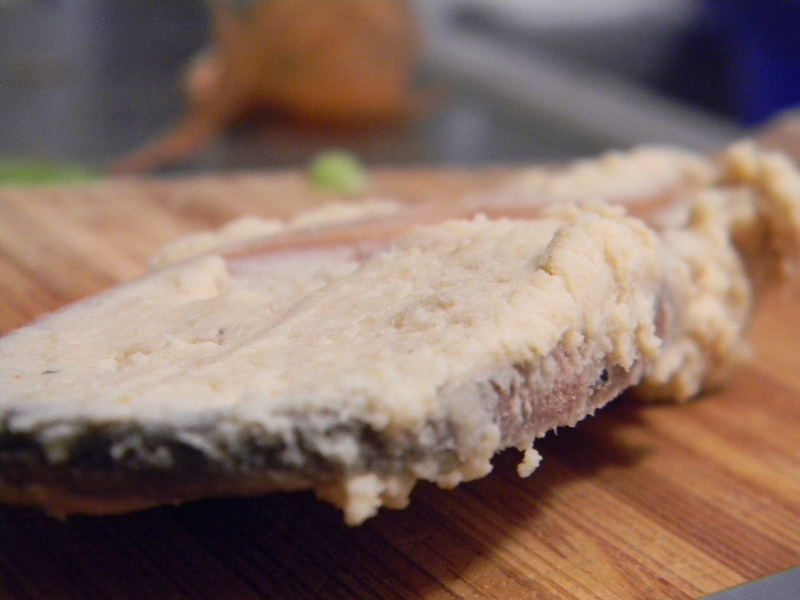 Hummus serves as the perfect shallow end for safely wading into the idea of eating garlic raw. You can add just a little garlic and still get a decent bite or add a lot and seriously step up the fragrance and flavor of what could be considered by some to be a bland bowl of beige to dip your crackers in. In keeping with the raw veg theme, I added some of the scallions we got from the Coop this week to my hummus. I’ve made hummus with onion before, but it’s easy to overdo raw onion. Scallions are the perfect solution to this because of their more mild flavor. Drain and rinse chickpeas. Put all ingredients except soy milk or water in the food processor, chickpeas first so that the spices and tahini don’t get stuck to the bottom. I don’t bother chopping my garlic but rather let the food processor do the work for me. Blend until the mix begins to get smooth, then add water or soy milk to add creaminess and finish blending. So easy! To make things even easier, remember to firmly roll your lemon between your palm and work surface to ensure getting the most juice. And always use a strainer to avoid getting pits in your hummus. * I like to make a lot of hummus at once, but you can easily halve the ingredients. This recipe makes enough to share with guests while still having plenty left over for the family. This entry was posted in Recipes and tagged chickpeas, garlic, hummus, scallions by mk.sewn. Bookmark the permalink.